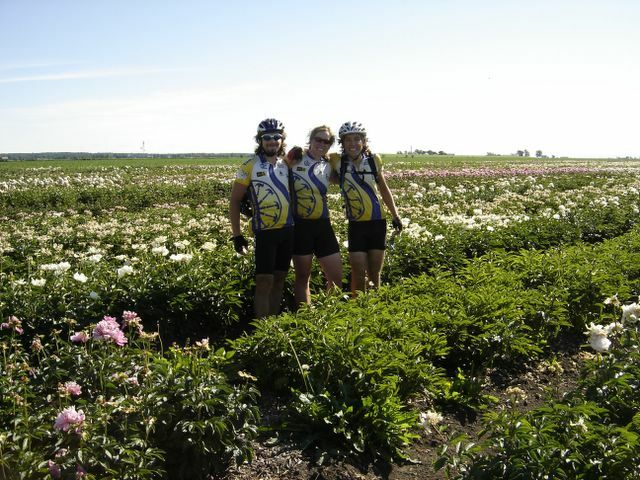 We rode past a flower field in Wisconsin. The amount of flowers was awesome. This is Maeve and Brock with me.